The United Nations refugee agency has called on Zionist regime’s authorities to scrap a new program that forces thousands of African refugees out of the Occupied Palestinian Territories. “We are again appealing to Israel to halt its policy of relocating Eritreans and Sudanese to sub-Saharan Africa,” Spindler said. Spindler said some 27,000 Eritreans and 7,700 Sudanese lived in the Occupied Palestinian Territories, but authorities there had only granted refugee status to 11 since 2009. Zionist regime made arrangements to send the Sudanese and Eritrean migrants to Rwanda and Uganda over concerns that they may face danger if they return home. The plan was widely criticized when it was first unveiled last year. 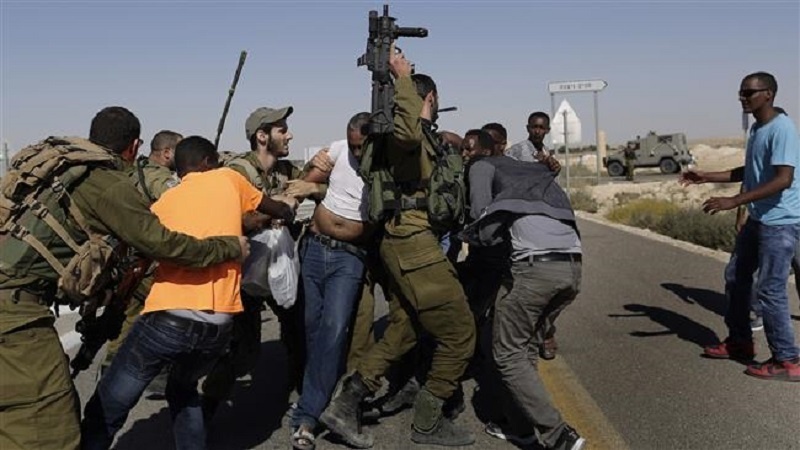 Last week, Zionist regime started the implementation of its plan to force thousands of African migrants out of the Occupied Territories, threatening to detain those who refuse to leave. Large numbers of African refugees started coming to the Occupied Palestinian Territories though Egypt’s Sinai Peninsula in 2007. Those arrested at the Egyptian border were jailed in the Negev Desert in southern Occupied Territories. On release, the refugees settled in an area south of Tel Aviv, but their presence caused harsh criticism among Israeli residents in southern Tel Aviv and right-wing politicians.